Information about the early beginning came from my father, John Hoefling, who joined USSWA (United States Ski Writers Association) in 1965, two years after its creation. He attended every annual meeting ever held except for one, and was the first executive secretary, a position he held for 16 years. Harold Hirsch was a family friend and I recall a few conversations about the award Dad had with Hirsch and with other founders of the USSWA. Information about the first winners and all the variations of categories comes from NASJA’s own documented history and my experience handling submissions. 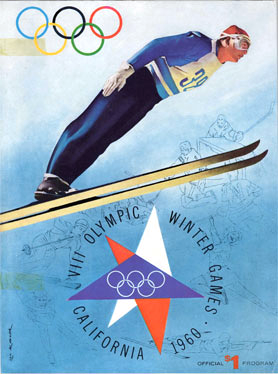 The concept for the Harold S. Hirsch Awards for Excellence in Snowsports Journalism was a direct result of the 1960 Winter Olympics and an effort to promote professionalism in winter sports coverage. Best known as a ski clothing pioneer and founder of White Stag, perhaps Hirsch’s most visible legacy is the weather-resistant, hip-length, rust-colored ski parka he designed for Minnie Dole’s newly established National Ski Patrol in 1938. 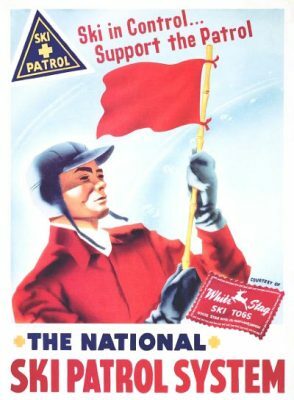 By the mid 1950s, White Stag was the largest manufacturer of ski wear in the U.S. Attending the 1960 Winter Olympics in Squaw Valley, Hirsch had a chance to meet many of the people covering the event for their newspapers and magazines. Problem is, most of them were sports writers more attune to using their pens and cameras for baseball and basketball games rather than the action in snow-clad mountains. Some magazines had even sent their golf and tennis writers. Many had never skied and didn’t have a clue how to describe the action on the slopes, how to photograph the athletes, or how to convey the excitement of this burgeoning sport. Hirsch turned to the Northern California and Nevada Winter Sports Writers Association, formed in 1956 in San Francisco. This group spearheaded the founding of the U.S. Ski Writers Assn (USSWA) in 1963, which was rechristened the North American Snowsports Journalists Assn (NASJA) in 1990. 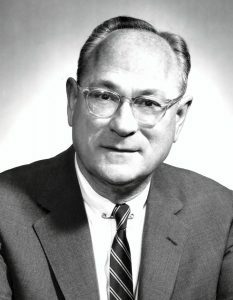 The first Hirsch Award, for Writing, was presented in 1963 to Bill Berry of the Sacramento Bee. His prize was a revolving trophy consisting of a 30-pound antique typewriter. In 1984 two additional awards were added including appropriate trophies. John Hamilton with KGO Newstalk Radio received a year’s companionship with a vintage radio broadcasting microphone, and Diane Huntress’s freelance work garnered her a vintage camera as her Photography award. Eventually the revolving trophies were donated to the US Ski and Snowboard Hall of Fame and Museum, and award recipients began receiving awards they could keep (and dust) forever. In an attempt to keep pace with the evolving methods of communicating, Writing was broken down into Books, Columns and Features, then Features into Magazine Features, Newspaper Features and Internet. Blogs were added. Broadcasting was subdivided into Radio and Television. Video became an offspring of Photography. The number of categories was confusing, work often overlapped, and folks were submitting their material in multiple categories. This has now been simplified into three awards: Writing, Images and Books, and has opened the contest beyond NASJA to all who write about snowsports, in all its topics and forms.